Style: Minimalist March - Day Two. Day two, of the challenge. You can read all about my capsule wardrobe challenge here. Today was a uni day. it was pretty chilly too. We had snow and hail, so I wrapped up in this Simply Be combo. 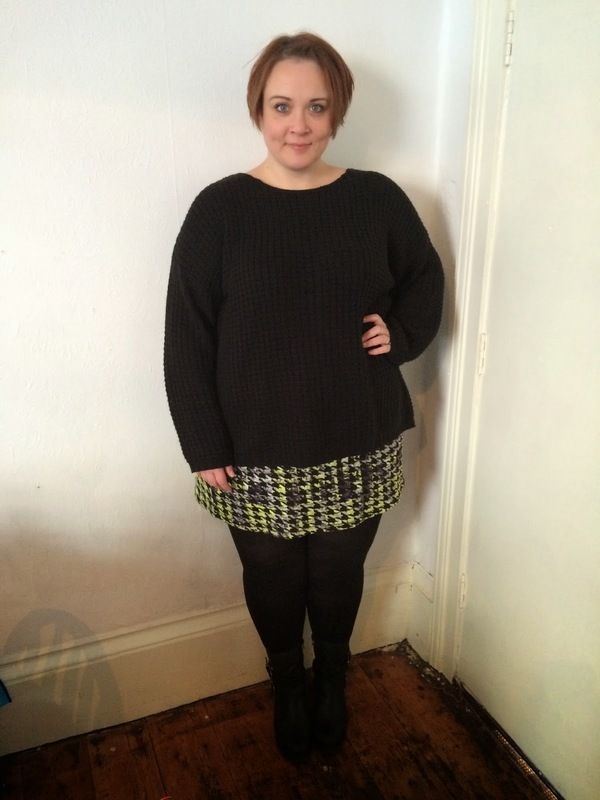 The jumper is a soft waffle knit and the skirt is a thick knitted jersey, really comfortable and easy to wear. I've got a good idea of what I'm wearing tomorrow. I have an appointment in the morning so want to look smart. I'll also be including a review tomorrow of some wide calf boots that were kindly sent to me. They are really lovely, so excited about that!